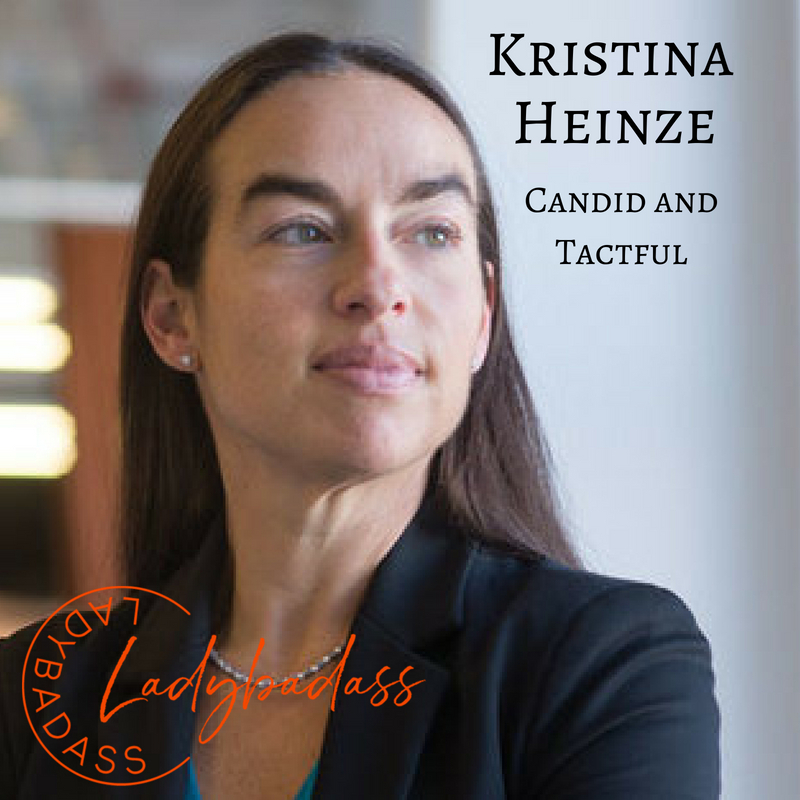 Kristina Heinze is a Partner and Co-Founder at ParkerGale Capital, LP, a Chicago-based private equity firm that invests in profitable technology companies. She has more than 15 years of experience in the private equity space. ParkerGale currently has a $240 million fund and 4 companies that they’ve bought. Recently, in April of 2016, Kristina was honored as a winner of The M&A Advisor’s 7th Annual Emerging Leaders Awards, formerly known as the 40 Under 40 Awards (CNBC.com). What a ladybadass! Before founding ParkerGale in 2014, Kristina was a principal at Chicago Growth Partners for 11 years. She was also part of the original team at Chicago Growth, which was spun out of William Blair Capital Partners in 2004. Prior to that, Kristina worked at Credit Suisse First Boston for two years, where she was on the business service investment banking team. She currently is an active member of the Private Equity Women Investor Network, which serves to bring women together in the private equity industry and help more young women enter the field. Private equity has a small percentage of females in leadership roles, but Kristina is paving the way for more women to follow in her footsteps. Kristina had a lot of responsibility at a young age. When she was just 16 years old she managed the night shift at a local fast food restaurant. “I always wanted to learn more, do better, try again and was never satisfied with the status quo,” she said. This attitude continued in her professional career. In a podcast with AE Marketing Group, she explained that she and her team had a vision about a brand and culture they wanted to create, so they broke off and started ParkerGale. Her drive to never give up, dig deep, and be confident has really paid off. On days that are trying, Kristina stays motivated by thinking about her kids. “I’m the sole breadwinner, as my husband stays home to take care of the kids, so I don’t have the option of saying, ‘I don’t feel like it today.’” She wants them to see that a woman can accomplish the same (if not more!) than a man. Both professionally and personally, Kristina is a ladybadass if we ever saw one!